Experience, passion, and commitment define the team at The Change Initiative. Our dedicated team of facilitation and training professionals brings considerable experience to the market. Our team maintains an effective mix of experience and seasoned leadership in order to design and facilitate engaging and results-oriented workshops, conferences, and trainings required to meet the needs of our clients and partners. Expertise we do not have in-house we bring in through our network of associated experts. is a Certified Professional Facilitator © through the International Association of Facilitators and the founder and Managing Director of The Change Initiative Co. Ltd. His talent, skills, and passion for facilitation form the core of the company’s mission, and he is much sought after as a facilitator, trainer, and process consultant. Jost has written a handbook on large group facilitation methods for a Thai audience which has been now translated in various languages such as Vietnamese, Burmese, and Urdu. In recent years, Jost has become one of the biggest contributors to the art and science of facilitation in many parts of Asia. He has been awarded the Certified Professional Facilitator™ certification for experience and demonstrated expertise in facilitation. In 2011 he was named the facilitator of the month and his facilitation activities in the Deep South of Thailand were selected as the second best facilitation project at the IAF Regional Conference in Taipei. Prior to The Change Initiative, Jost worked with the Deutsche Gesellschaft fuer technische Zusammenarbeit, the German Embassy in Bangkok, the Resource Link Consulting Group, and an internet start-up company. Jost studied economics and sociology in Trier (Germany) and in Zaragoza (Spain). He graduated as the best student in sociology (equivalent to MA) at the University of Trier. He also conducted post-graduate courses at Mahidol University (Thailand), the University of North Carolina (long-distance), and attended a large number of short courses. Jost’s results-focused techniques and energetic facilitation style has won him clients from a wide range of public and private sector organizations. His work has brought him regularly to all parts of Asia and also includes assignments in Africa, Europe, and Latin America. 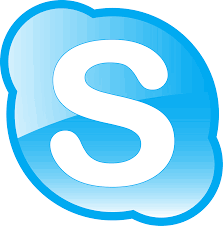 has been with The Change Initiative from its first days in 2007/2008. Prior to her work with our organisation she was involved in many start-up businesses from export-import to the hospitality industry, which is reflected in her excellent organisational and problem-solving skills. Therefore, it is no surprise that she started as the office manager and handled all event support. Over the years her interest in facilitation grew into passion. Working side by side with Jost Wagner, she has become a skillful facilitator and has co-facilitated a continuously growing number of workshops. She is experienced in methods such as Open Space, World Café, Team Retrospectives, and many more, and attended a number of trainings by leading experts in Asia. She is a member of the International Association of Facilitators and the Facilitator Forum Thailand. Together with Ittinat Seeboonruang, she forms a tandem and likes to facilitate Thai language workshops. Fluent in Thai, English, and German, Ittinat is well equipped with strong communication skills and a diverse cultural background to work with the international community. 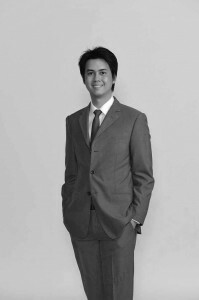 He has extensive experience translating and co-facilitating trainings and workshops for various organizations, both internationally and locally, such as the Friedrich-Ebert-Stiftung Thailand, Konrad Adenauer Stiftung Thiland, Rabibhadanasak Judicial Research Institute, and the Courts of Justice of Thailand. 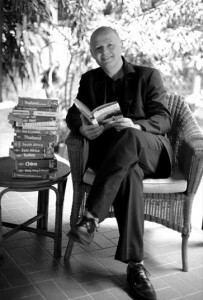 Committed to promoting facilitation in Thailand, his contributions include the translation of Sam Kaner’s Facilitator’s Guide to Participatory Decision-Making, one of the standard textbooks in facilitation, and Jost Wagner’s Handbook for Creating Dialog and Collaboration by Friedrich-Ebert-Stiftung Thailand in Thai. Ittinat has completed Foundation Facilitation Training with the Facilitators Network Singapore (FNS) as well as Dynamic Facilitation Level 1 with Jim Rough. His experience extends beyond a social development framework, having also worked as Manager of Corporate Events at Siam Paragon Development, Thailand’s leading retail establishment. Holding a Master’s Degree from John Hopkins University, Ittinat is also a trained classical singer, a certified yoga instructor, and an advanced Reiki practitioner. joined The Change Initiative in 2013. She is responsible for a support services prior to and during the conferences and workshops we are facilitating. Her responsibilities range from preparing materials, folders, and name tags, running the secretariat at conferences, and solving problems for attendees, to developing a process video. She has supported us in diverse places such as Indonesia, Nepal, and the Philippines. Prior to her work with us she worked as a relationship counselor for intercultural marriages. 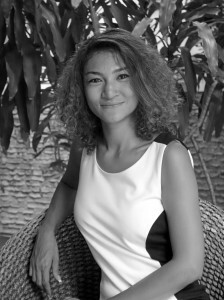 She studied marketing in Bangkok and her pleasant and helpful character makes her a great addition to our team.